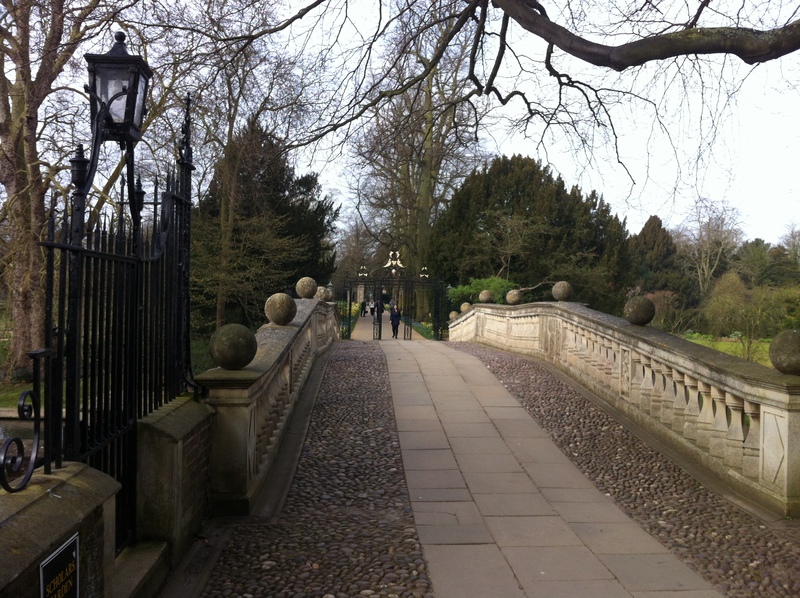 I hugely enjoyed this week’s conference ‘Cosomolgy and the Constants of Nature’ at Cambridge University. There were some truly great talks by John Barrow, John Ellis and Thanu Padmanabhan among others, not to mention Joao Magueijo describing his famous ‘variable speed of light’ theory in person. The icing on the cake was that my visit coincided with this week’s announcement of the detection of gravitational waves from the infant universe by the American BICEP2 experiment. If correct, the signal gives very significant experimental support for the theory of cosmic inflation, as well as the phenomenon of gravitational waves predicted by general relativity…..a double whammy if ever there was one. Yesterday, I was priviliged to attend a seminar on the new results given by George Efstathiou and Anthony Challinor, team leaders on the rival Planck experiment (EU). There’s nothing like hearing a new observation dissected by a rival group and the seminar certainly didn’t disappoint. Both Cambridge physicists concluded that the BICEP 2 result is very robust, at least at face value, with the caveat that the signal needs to be reproduced at more than one frequency. The other caveat is that although the sensitivity of BICEP2 is up to ten times that of Planck, there is a certain tension between the BICEP2 data and last year’s published data from Planck. I was particularly interested in Professor Efstathiou’s comment that the differing data of the two experiments may be a genuine effect, i.e., may represent some new physics at wide angles (Planck) that doesn’t affect the BICEP2 (small angle) measurements . The next few months should be very interesting indeed for cosmology…(see here for a rigorous discussion of the BICEP2 data by Peter Coles). I had my own private excitement when I was introduced to Stephen Hawking for the first time. 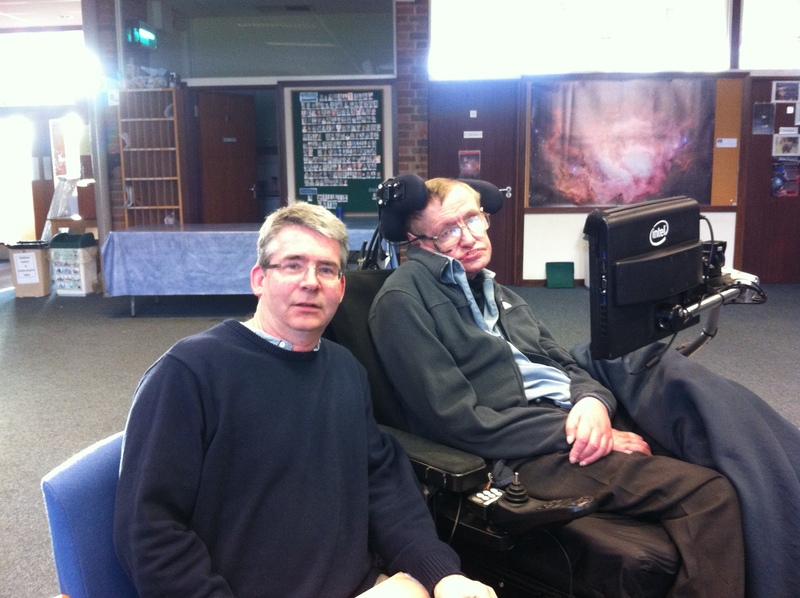 It was a very moving encounter, Professor Hawking remembered my father and his work. Stephen was also very interested in our recent discovery of Einstein’s unpublished attempt at a steady-state model of the cosmos. Indeed, his first remark to me was that steady-state cosmic models were the dominant cosmic paradigm when he started his research career at Cambridge all those years ago. He asked me to send him a copy of Einstein’s paper and I had a stressful evening trying to do so as my college email chose that day to block me for not changing my password often enough – of all days for that to happen! All in all, it was yet another hugely productive visit to Cambridge University. Every time I come here something dramatic happens but I’m also looking forward to going home, I could do with a rest! Is there a possibility that Magueijo’s ‘variable speed of light theory’ might explain the flyby anomaly? Does the Fernández-Rañada-Milgrom Effect Explain the Flyby Anomaly? Sounds like a great conference. Having studied at DAMTP for my PhD, I’ve to say that Hawking is a fantastic man and always made time to come to the students talks. I’m interested also in the fact that Efstathiou and Challinor both feel the BICEP2 result is robust. I’ve had a few debates with Peter Coles, here at Sussex, and he certainly is dubious about that the shape is consistent with primordial gravitational waves. Certainly there is a signal there of a non-lensed E mode (scalars cause a radial pattern of polarisation around hot and cold spots. Lensing can skew this radial pattern into the curl-like pattern which mimics the B-mode. However this signal thankfully doesn’t affect the large angles where the primordial B-mode dominates). So there’s no doubt – in my mind anyway – that some genuine B-mode has been discovered. The question is whether we can say for sure that it’s primordial. There are around 6 data points in the BICEP2 release. 4 are quite consistent with the primordial conjecture, 2 are not. It seems likely that the result is good though as the cross-correlation with KECK seems to look good. Their result, and the cross-correlation with Planck in the same region of the sky will confirm/deny this result in the coming year. The likely result is that primordial gravitational waves have indeed been detected but at a slightly lower level than reported. 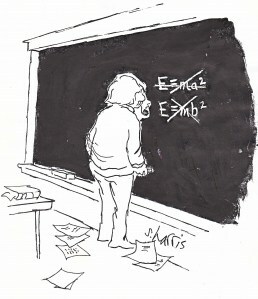 Nevertheless it’s an extremely exciting time to be in cosmology. Hi Donncha, you’re right, the result is not settled yet, and I’ve been following Peter’s articles on the subject closely. I was struck by the fact that the Cambridge physicists considered the finding pretty robust…I wonder whether there are also hints in the PLANCK data that have not yet been published…interesting times indeed..
Hi Cormac, I don’t think that PLANCK have seen anything yet from news on the grapevine. As far as I can gather they’ve some real problems with noise terms in the polarisation signal. However it will be vital if the BICEP2 result is to be fully verified to get the signal at multiple frequencies (the CMB as a blackbody spectrum will give a frequency independent shape, though the overall amplitude does vary; what changes at multiple frequencies are the noise contaminants). PLANCK has a real problem in terms of extracting a clean polarisation signal due to their scanning strategy. If you think of the polarisation signal you need to have a sort of cross, i.e. up-down, back-across, scan. PLANCK always scans the same up-down way. I would assume that KECK is far more likely to confirm the BICEP2 result with improved data sensitivity. Yes, I think the need for verification at multiple frequencies is a lovely example of how science repeats itself, remembering how the original of detection of the CMB by Penzias and Wilson needed to be repeated at different frequencies.